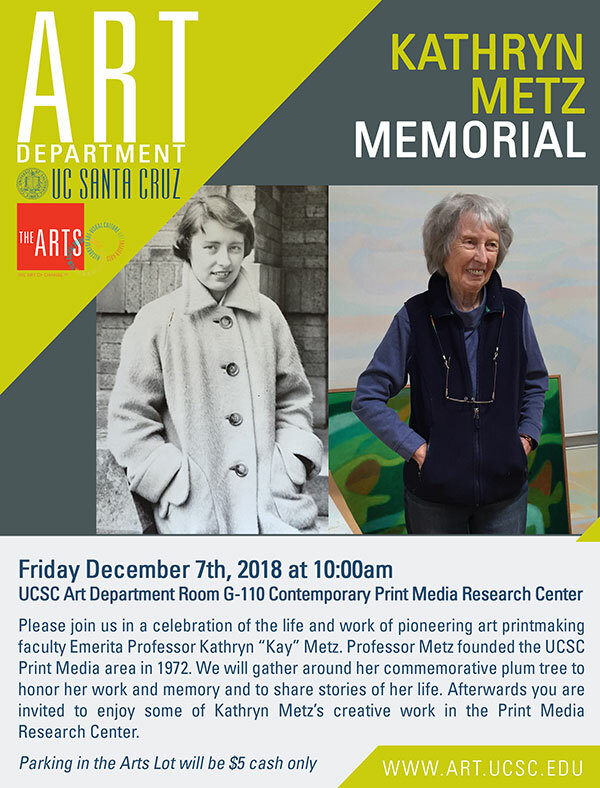 Please join us in a celebration of the life and work of pioneering art printmaking faculty Emerita Professor Kathryn “Kay” Metz. Professor Metz founded the UCSC Print Media area in 1972. We will gather around her commemorative plum tree to honor her work and memory and to share stories of her life. Afterwards you are invited to enjoy some of Kathryn Metz’s creative work in the Print Media Research Center.